"Best Fundraiser Event" Runner up for Woofstock! 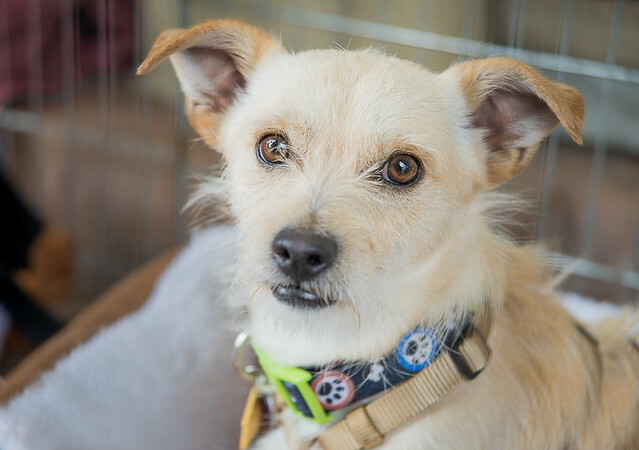 Furry Friends Rescue (FFR) is an all-volunteer non-profit Bay Area companion animal rescue organization, comprised entirely of experienced volunteers who collectively have rescued thousands of companion animals and placed them in forever loving homes. United and inspired by our compassion for all animals, we focus our talents on saving dogs and cats of all ages (babies to senior), all breed types, special medical/behavior needs and unadopted dogs and cats on "Put To Sleep" lists (PTS) from Northern California animal shelters. Each rescued animal is provided veterinary care and then live in volunteer foster homes where they get TLC and basic home training. Most of our dogs and cats are well behaved and are ready for adoption. A few may need special care to recuperate from medical, mental or physical neglect/abuse; or to regain their confidence and trust in people. We were founded in November 1998. Prior to forming FFR, the core team of experienced and determined volunteers rescued a combined total of 450 dogs and cats and placed into loving, permanent homes. Since November 1998, we have saved over 13,000 animals and the numbers are growing every day—along with 6000+ Guardian, Shelter & Rescue Assists! Our volunteer home foster about 120 dogs and cats (of all ages from young to senior and special medical needs) year round. We rescue and find forever homes for about 1000 animals per year. Please see some of our Purple Heart "Miracle Club" animals. Our successful team is based on core values of friendship, integrity and mutual respect for each other as a team. Our shared love for our furry friends binds us to our common goal. FFR's primary focus is to utilize our talents and energies in innovative ways to save even more innocent lives by expanding our Foster Home Network while we pursue funding for our ultimate goal, a Bay Area Safe Haven Sanctuary! A key part of FFR's philosophy and practice is to build alliances and network with other reputable shelters, rescue organizations, veterinarians, doggie day cares, trainers, media and caring companies. By working together, we can save more lives together and help to eliminate the unnecessary deaths of so many adoptable animals while enhancing the lives of people as well. If you would like to be part of our team, please check our Volunteering page. To donate, please see our Donations page. For more information, email [email protected]. In the USA annually, 6 to 8 million dogs and cats are placed in shelters, and 3 to 4 million of them are euthanized because they are unable to be placed in homes. "Every Nine Seconds" was an awareness campaign that began several years ago to promote pet rescue and adoptions. The awareness campaign is called "Every Nine Seconds" because in a typical year, as many as 405 lost animals are euthanized every hour, or one Every Nine Seconds. Because this is an important subject to all dog and cat lovers, we urge everyone to visit www.novoiceunheard.org. Special thanks to Maddie's Fund for their support and life saving grants to FFR! Maddie's Treatable Assistance Program and Pet Adoption Days. For dogs and cats we rescued from Alameda county animal shelters with qualifying treatable medical conditions, that are rehabilitated and adopted.